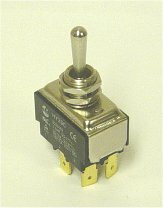 The HY29 series power toggle switch has high rating with UL, cUL and TUV approvals. It fits easily into the panel hole size: 0.472" (12.0mm). The switch has SP and DP versions, with many functions, including On.Off, On.On, On.off.On and momentary. It has rubber boot for dust and water protection. 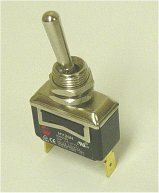 This switch is fully compliant with RoHS.